WHEN YOU OPEN THE FRONT DOOR TO THIS IMMACULATE HOUSE, YOU WILL FEEL RIGHT AT HOME. EVERYTHING HAS BEEN DONE. FROM UPDATED ROOF TO NEWER FLOORING INSIDE AND OUTSIDE. NEWER WINDOWS, SHUTTERS, BATHROOMS, APPLIANCES, TRANE HVAC/HEATING, WATER SOFTENER, OUTDOOR PATIO/BACKYARD AS WELL AS NEWER IRRIGATION (CHECK LIST OF UPGRADES UNDER DOCUMENT TAB). THIS BEAUTIFUL AND POPULAR SABINO MODEL OFFERS A VERY OPEN AND SPLIT FLOOR PLAN AND COMES TURNKEY! JUST BRING YOUR TOOTHBRUSH AND GOLF CLUBS. HIGH QUALITY FURNITURE ARE INCLUDED IN THE LIST PRICE. 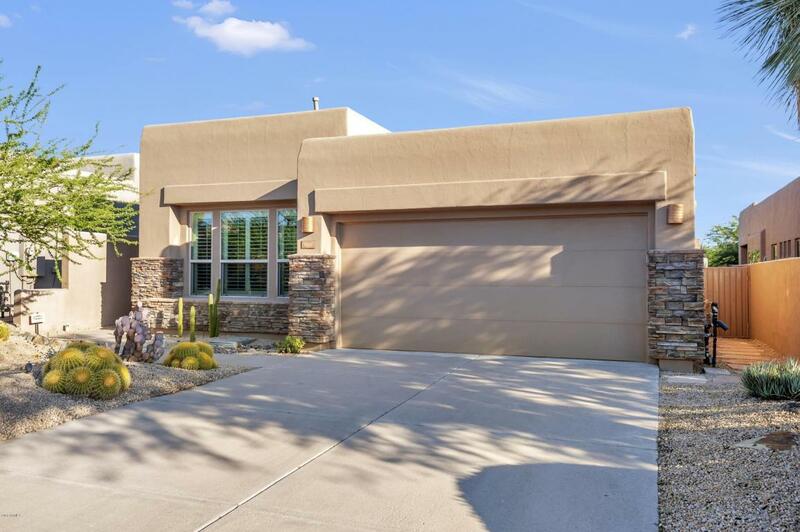 EXPLORE THE ARIZONA DESERT WITH GOLFING, HIKIG AND BIKIMG TRAILS JUST MINUTES AWAY FROM THIS AMAZING HOME. COMMUNITY POOL, WORKOUT AND TENNIS. LEGEND TRAIL IN NORTH SCOTTSDALE IS SURROUNDED BY THE BEAUTIFUL SONORAN DESERT. WELCOME HOME!